Dr. Robert Landsman and teachers from New Mexico and Hawaii will team up to speak about inquiry-based STEM distance learning and teacher professional development at the 2012 National Conference on Science Education. Pompton Plains, NJ -- March 21, 2012 -- ANOVA Science Education Corporation (ANOVA Science; www.ScientificInquiry.com) announced today that Dr. Robert Landsman, its president, will team up with classroom teachers Jennifer Evans from New Mexico’s Central Consolidated School District’s Nizhoni Elementary School in Shiprock and Honolulu District’s Christine Kamimura from Kapalama Elementary School in Honolulu, HI, and State of Hawaii Resource Teacher Irene Kamimura, to speak at this year’s National Science Teachers Association (NSTA) Conference on Science Education in Indianapolis, IN. The presentations will feature student and teacher impact resulting from scientific inquiry-based distance learning using the Research Investigation Process (RIP®) critical thinking and instruction model and ANOVA Science’s 21st Century approach to teacher professional development (click here to view presentation titles, descriptions, locations, and times). 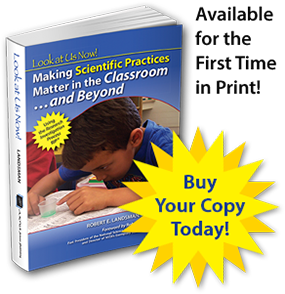 “Look at us now!” exclaim teachers who exhibit exemplary inquiry-based instruction in “Making Scientific Practices Matter in the Classroom…and Beyond Using the Research Investigation Process (RIP®).” This book, edited by Dr. Robert E. Landsman, with a Foreword by Dr. Robert E. Yager, is a collection of exemplary applications of scientific practices shared by teachers for teachers. 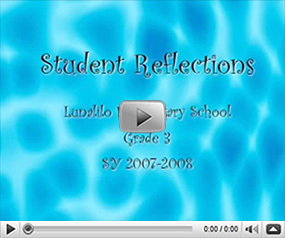 They have transformed themselves and their students using scientific inquiry to bring a balance of rigor, joy, and excitement into the world of learning across content areas.